It is a comprehensive, practical guide to building enterpriseclass applications with SharePoint 2007, ASP.NET 2.0, Visual C# 2005 using MOSS 2007 Object Model. Very nice conclusive book. 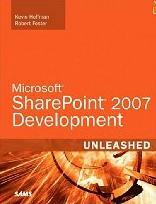 this is a very nice book for people develope in the SharePoint enviroment using the SharePoint object model.